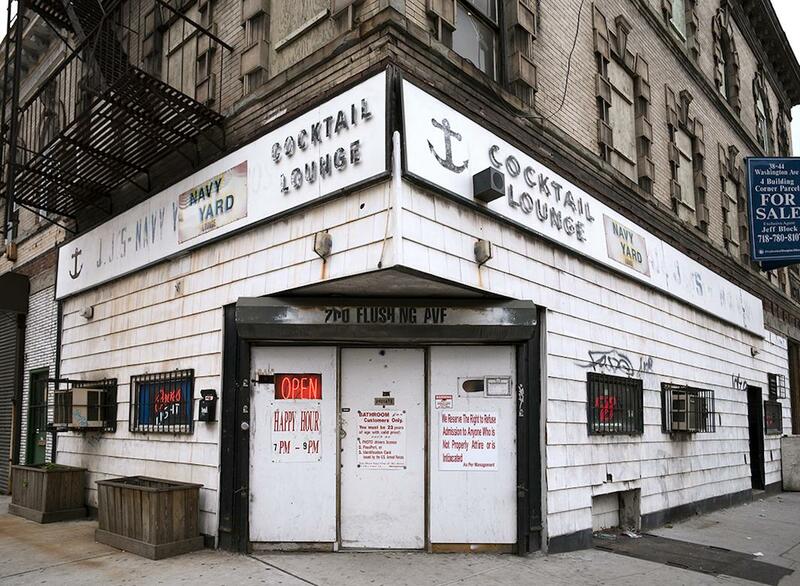 James and Karla Murray photograph New York storefronts in their book, Store Front II: A History Preserved. Marietta, Court Street near Carroll Street, Carroll Gardens, Brooklyn, 2009. In the mid-1990s, James and Karla Murray started registering a disturbing trend as they photographed street culture in neighborhoods across New York City. “Despite the short time frame between visits, we noticed that some blocks looked drastically different. Many neighborhood stores that we had noticed had closed, or we would come across ‘old’ stores, still in business, but somehow different. They were either refaced, remodeled, or original signage had been substituted with new, bright, and shiny plastic awnings. The whole look and feel of the neighborhood had changed, and much of its individuality and charm had gone,” the husband-and-wife duo, who photograph and interview as a united entity, said via email. They soon made it their mission to document the vanishing mom-and-pop stores through images and interviews with their owners. Skyrocketing rents and rapidly changing neighborhood demographics, however, meant time to do so was limited. More than two-thirds of the stores featured in their 2008 book, Store Front: The Disappearing Face of New York have, and approximately 20 percent of those included in their new book, Store Front II: A History Preserved, which was published by Gingko Press in November, have closed. “In New York in particular, the neighborhood store has always been a foothold for new immigrants and a comfortable place where familiar languages are spoken, where ethnic foods and culture are present. These shops are lifelines for their communities, vital to the residents who depend on them for a multitude of needs. When these shops fail, the neighborhood is adversely affected. 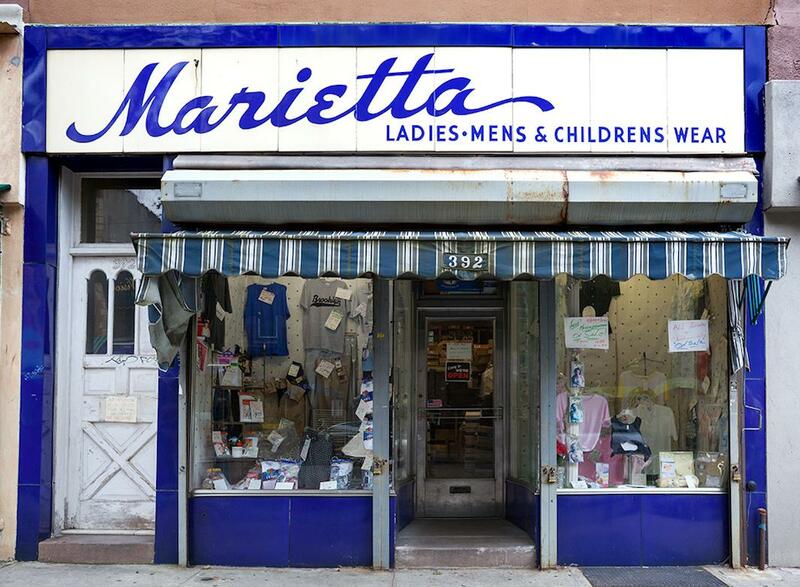 These old storefronts have the city’s history etched in their facades. They set the pulse, life, and texture of their communities,” they said. 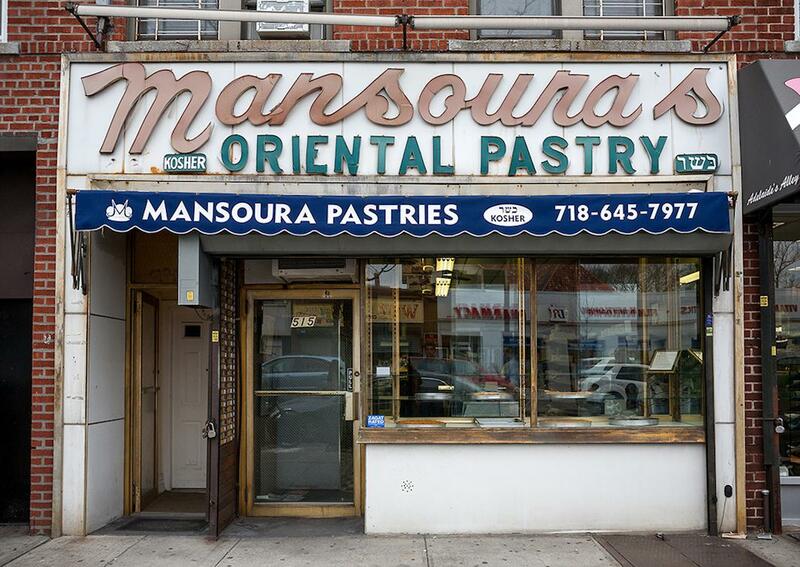 Mansoura Pastries, Kings Highway near East 3rd Street, Midwood, Brooklyn, 2009. 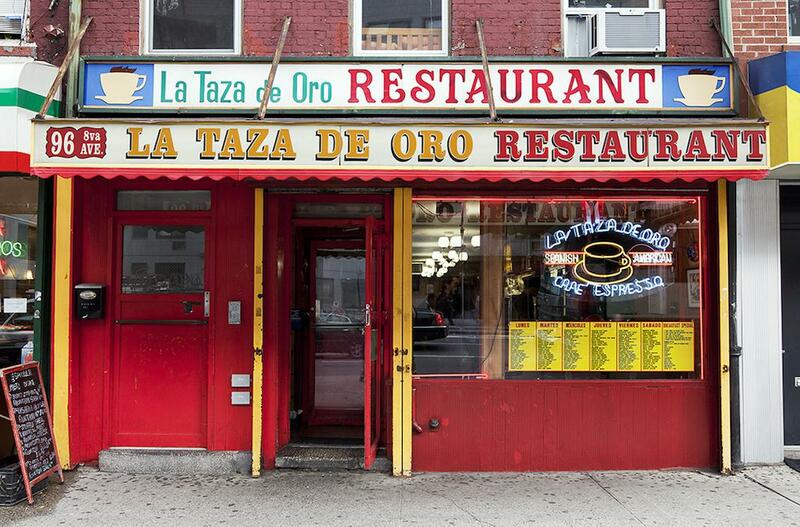 La Taza De Oro Restaurant, Eighth Avenue near West 15th Street, Chelsea, Manhattan, 2010. 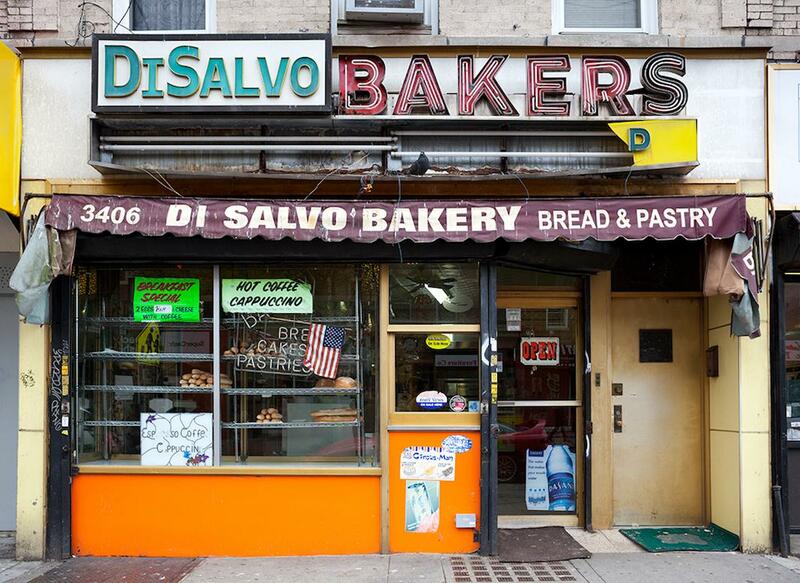 DiSalvo Bakers, Fulton Street near Autumn Avenue, Cypress Hills, Brooklyn, 2010. 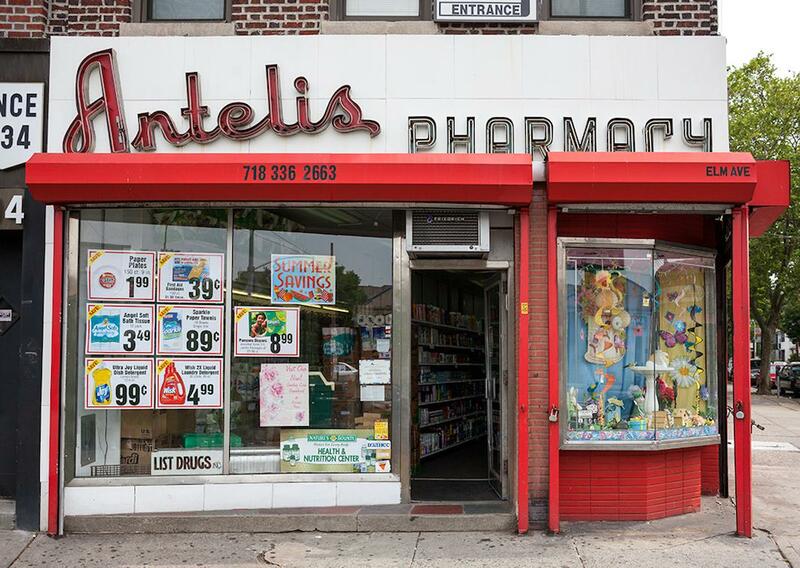 Antelis Pharmacy, Elm Avenue at East 15th Street, Midwood, Brooklyn, 2011. Navy Yard Cocktail Lounge, Flushing Avenue at Washington Avenue, Clinton Hill, Brooklyn, 2008. Operating a small business is never easy, but in New York City—one of the most quickly gentrifying cities in the country—things have gotten especially tough. Still, the Murrays said, some historic family businesses have found ways to thrive. 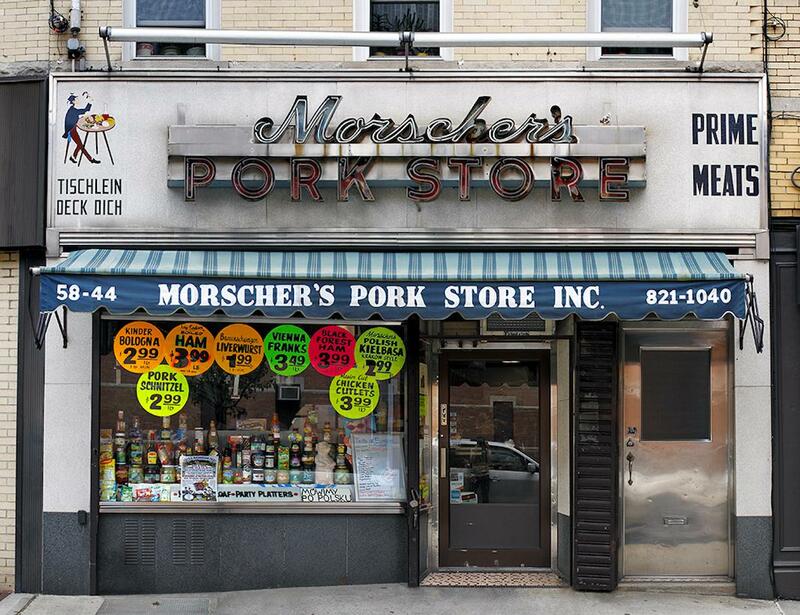 Herbert Morscher, the second-generation owner of Morscher’s Pork Store in Ridgewood, Queens, said upgrading the kitchen has helped the place to keep up with the times since its opening in the late 1950s. Bob Abramson, who’s sold records at House of Oldies in Greenwich Village since the late 1960s, said business has picked up in concert with the renewed interest in vinyl. The Murrays recognize that New York will continue to change and that more beloved businesses will suffer as a result. But they hope their work serves to celebrate the memory of shuttered institutions and to encourage readers to patronize the stores that are still around. “We don’t expect that all the forces that cause these stores to close can be stopped, but supporting small mom-and-pop stores by shopping in them definitely helps stem the tide. We hope that our project acts an artistic intervention to help draw attention to and preserve the small shops whose existence is essential to the unique and colorful atmosphere of the city’s streets,” they said. 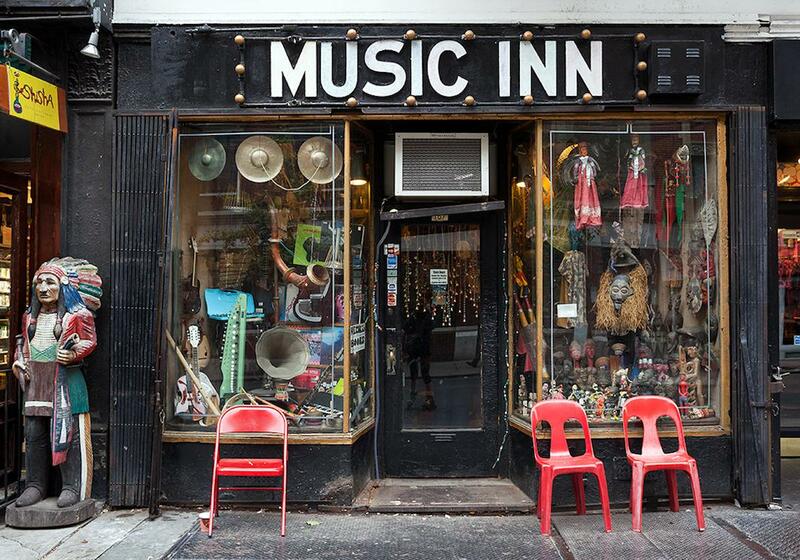 Music Inn, West 4th Street near Jones Street, Greenwich Village, Manhattan, 2009. Morscher’s Pork Store, Catalpa Avenue near Woodward Avenue, Ridgewood, Queens, 2009. 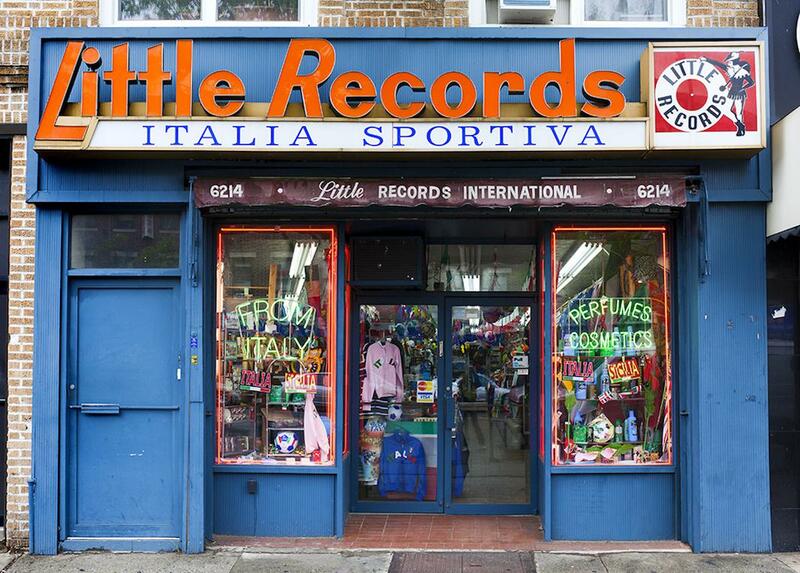 Little Records, 18th Avenue near 62nd Street, Bensonhurst, Brooklyn, 2009. 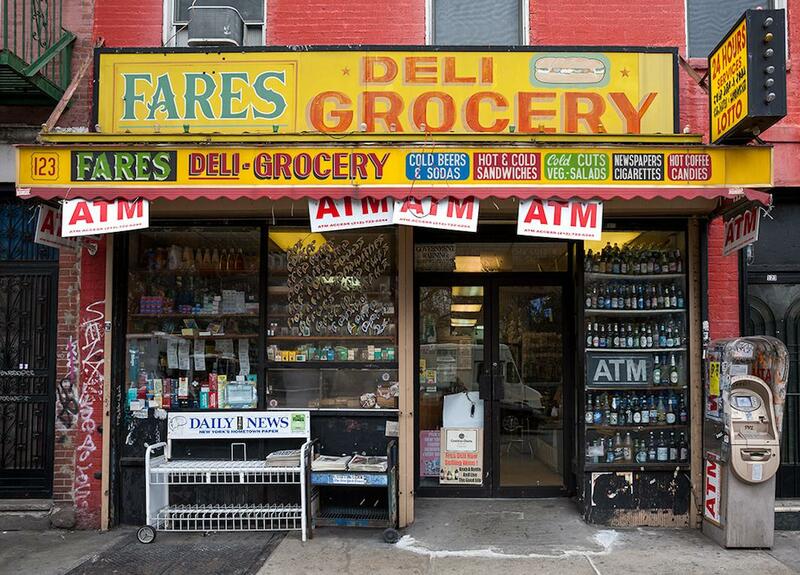 Fares Deli Grocery, Avenue A near St. Mark’s Place, East Village, 2009. 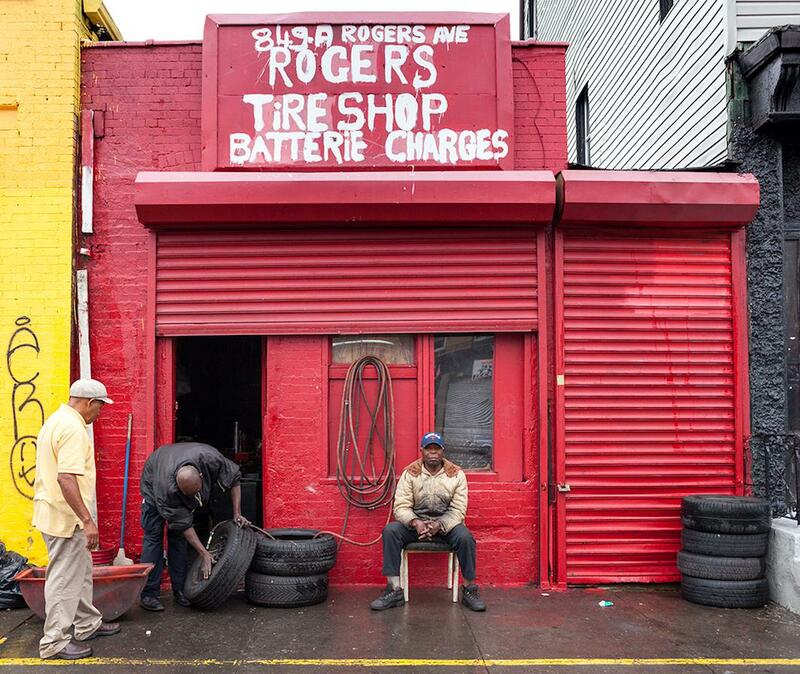 Rogers Tire Shop, Rogers Avenue near Erasmus Street, Flatbush, Brooklyn, 2009.